Opening times: Summer it is fully open 10.00am – 5.30pm, Winter 10.00am-5.00pm excl. water rides (they close over Christmas), and term time 10.00am-5.00pm check on the website what rides are open. Age: Ideally 1-12 and grandparents. ‘Leo get up.’ No reaction. ‘Leo get up we are going to Crealy.’ The boy is dressed, breakfasted; he even brushes his teeth in the space of 3.5 minutes. Slight exaggeration but I do not have to drag him by the ankle out of bed as per normal. I do have to convince him we can’t take Ted as he is likely to lose him in the ball pit. Five year old boys are 3 ft of overexcitement and superhero sound effects, best when outside and active. It has over 60 rides, indoor and outdoor activities and lots of animals to pet. I tried to steal one of their fluffy lop rabbits once. INEEDITINMYLIFE. The animals are clean and well cared for. He would live there if he could, I get a migraine from getting vertigo on the rides after the 10th go, but they make good coffee so I can deal. I think with the type of rides the park caters best to the under 12s…and for parents reliving childhood. It is £35 entrance for myself and Leo as he is over 100cm (just, I’m not showing off!). For a year’s membership it was £70 each. We live locally and visit regularly, so it is very good value for money. I think it may seem costly to a family visiting for a yearly one off as some of the outside rides you have to pay extra for but it is a good day out. I was concerned that the staff all seemed very young, but I think that’s is me getting old as they all were happy, helpful and polite. Even when my son would not get off the jungle wars train. There are larger rides outside, vast play areas and a two large soft play sites of pandemonium for when the weather is bad. When the weather is good there are acres of woodland wilderness to ramble through. You can also camp which would be great to try out, though I’m still working up to that! When it rains, we go as often as when it is sunny. It is well laid out with a clear map. Off season whilst there are minimal queues, in summer it can get busy and the children get tetchy but they do try and move you forwards as quickly as possible. There are live shows which little ones love. The toilets are clean, with plentiful baby changing and they are well signposted. The carpark is easy to navigate with ample free parking. In the holidays they put on events, like the ‘Mega Easter Egg Hunt’ or ‘Halloween creaky hotel’. Perfect for when you are counting down the seven days, four hours, and six minutes until the end of half term. Food is reasonably priced and there are a range of different eateries. Both on and off season I have found them to be very busy. We have munched in Adventurers food courts and Mamma Mia’s. Leo loves it as he is a fan of chips, nuggets and burgers. I would like to see some more healthy snacks for the little ones, possibly some lunch boxes. It may be I haven’t stumbled on this yet! Members get discounts across the park, like on food, so it is definitely worth going for this option. 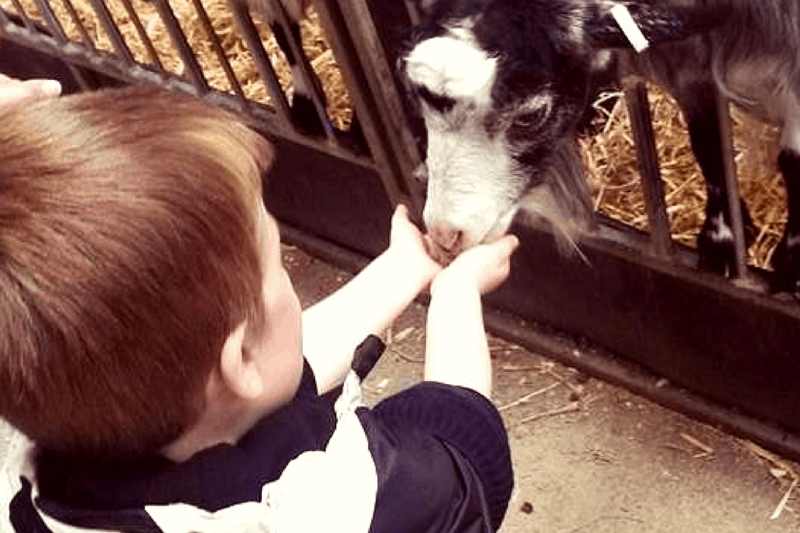 Check out our ‘Family Days Out’ section for Child friendly activities in the #SouthWest.